THEISPOT.COM: Illustration News: Kyle Hilton: Grumpy Cat! 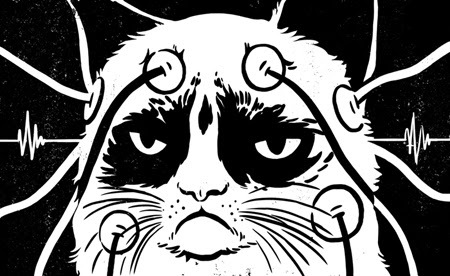 Kyle Hilton illustrated a wired-up grumpy cat for an article in the New York Times Sunday Magazine about feline voice recognition. Spoiler: They do recognize you, but they just don’t care.